← Can you put a price on nature? The prospects for ecosystem services markets. Can grass-roots innovation be scaled-up through the design and maintenance of social and policy networks? The states are the “laboratories of democracy. ” They are often the source of new policy ideas, including new strategies for encouraging investment in renewable energy. Some of these ideas spread; others don’t. The process of diffusion is inherently a social process; implementation is achieved via a network of actors. Ryan Cook’s thesis looks closely at the way in which Solarize, a community-based energy program has moved across the country. Ryan Cook (MCP ’14) examines the way policy actors adopt and adapt innovative ideas to their particular needs. Through a study of Solarize on both the west coast and the east coast, Ryan documents the way in which network structure can facilitate the spread of energy programs. He argues that policy innovations are rarely entirely original. Instead, they are often an amalgamation of ideas which have been implemented elsewhere. The pathways that new policy ideas follow lead to substantial differentiation. 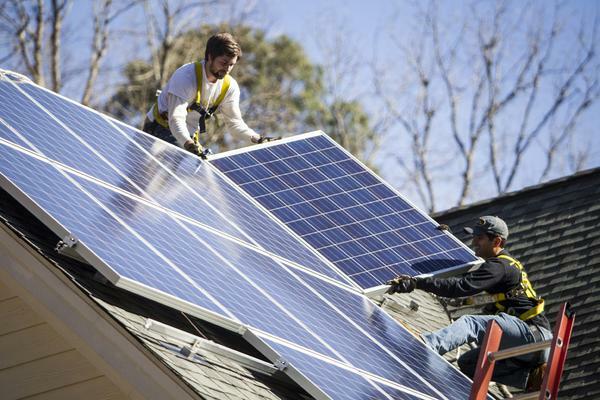 For example, the core elements of Solarize include competitive contractor selection, community-based outreach, public education, and limited sign-up campaigns. However, as Solarize moved around the country, there are some versions that involve multiple contractors as well as different technologies. By analyzing the social networks underlying the process of policy adoption, Ryan has discovered that issue-specific relationships that cross multiple policy networks are important. He has also identified organizational creativity, programmatic flexibility, and a commitment to continuous learning (rather than just imitation) as important explanations for why and how policy innovations diffuse. Read more about the ways in which grass roots innovation can be scaled-up through the design and maintenance of social and policy networks. Ryan’s thesis complete thesis can be accessed here. Posted on October 24, 2014, in energy efficiency, green energy, policy and tagged community engagement, green energy, policy innovation, solar power, state governments, sustainability. Bookmark the permalink. Leave a comment.